I-REGULATE | Naniniwala si Vice Pres. Leni Robredo na kailangan na ng panukalang batas para i-regulate ang mga post online. Naabuso raw kasi ang paggamit sa social media lalo na sa panahon ng eleksyon. 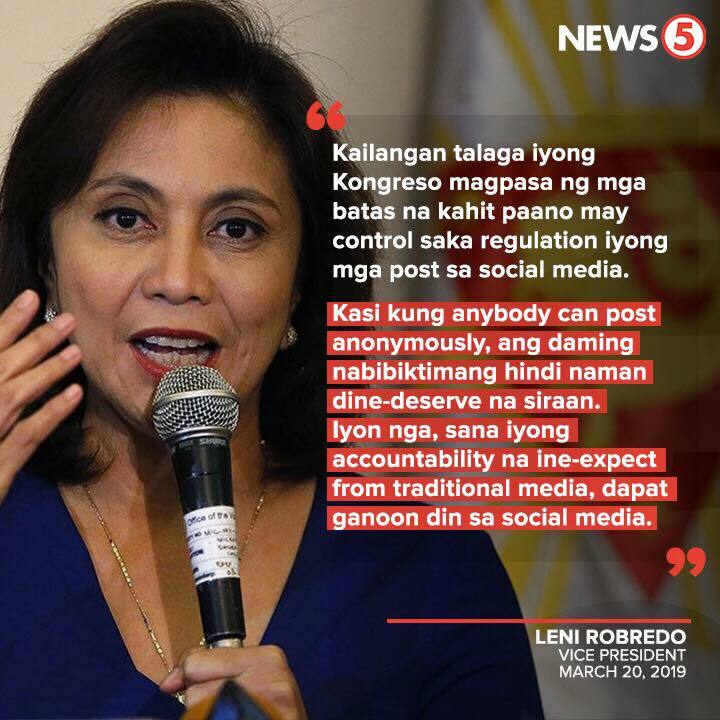 If Leni Robredo were to be followed, posting online anonymously would be deemed illegal. Ironically, Leni Robredo was one of those who were calling President Duterte as fascist and a dictator. For the record, President Duterte, the one they casually call a dictator, NEVER suggested, not even talk about, something that will regulate how people behave or talk online. Sino ngayon ang nag-aastang diktador Leni?